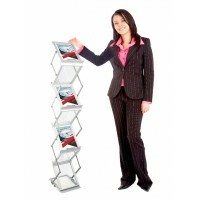 This folding multi pocket literature rack is extremely practical thanks to the fact it’s double-sided. This literature rack can be collapsed easily for transport, making it ideal for use on road shows and on exhibition stands. 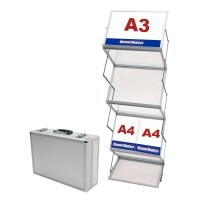 This literature rack features a six pocket, A4 portrait design, allowing for plenty of room to display brochures, magazines and other marketing materials for customers and clients to pick up. 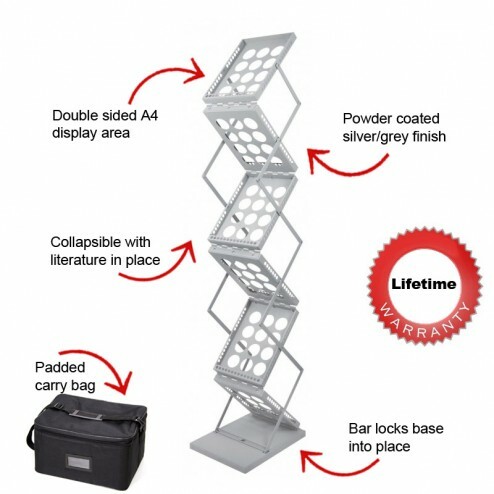 The powder coated silver finish affords an elegant, refined look, and this literature rack comes complete with a carry bag for your convenience. Standing at 1470mm high, this literature rack will take pride of place, it’s striking and your potential customers and clients won’t miss it! 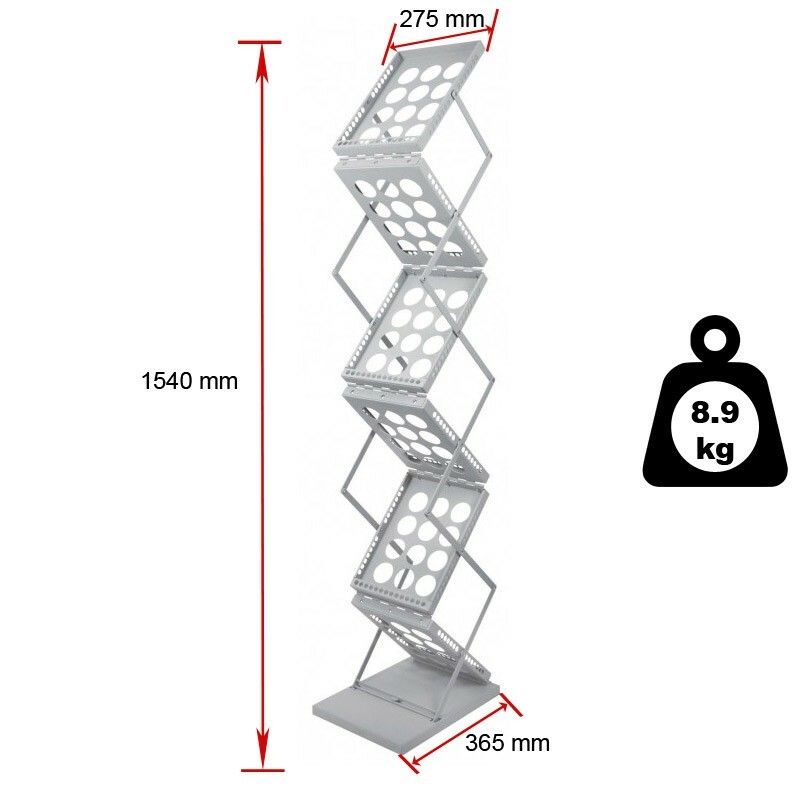 Weighing around 8kg in total, the portability of this literature rack cannot be questioned. 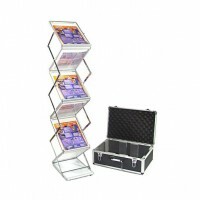 If you’re looking to get value for money on a durable, collapsible literature rack, look no further and place your order with us now! What if the capacity of each pocket? What size leaflets does each holder take? It comes pre built there is no self assembly require. It takes seconds to put up. The service we received from Discount Displays was impeccable. They were able to accommodate our tight deadlines and did everything they could to ensure we had our display ready for our event. Great value for money. Delivered the next day. I didn’t realise it was double sided. A good leaflet holder for this price. I ordered one stand and was very please it look just like it did on the web site so ordered 4 more. A good leaflet holder for this price. Rhyl Pipers - Seems well made easy to put up and down looks smart. The bar was a surprise I didn’t even realise it came with one. When I got it wasn’t what I wanted (I had made a mistake with my A4 literature size!) but Discount Displays stuck by their 14 day money back guarantee And I returned it for a refund. Great to deal with. I did go back later and order a different design!! 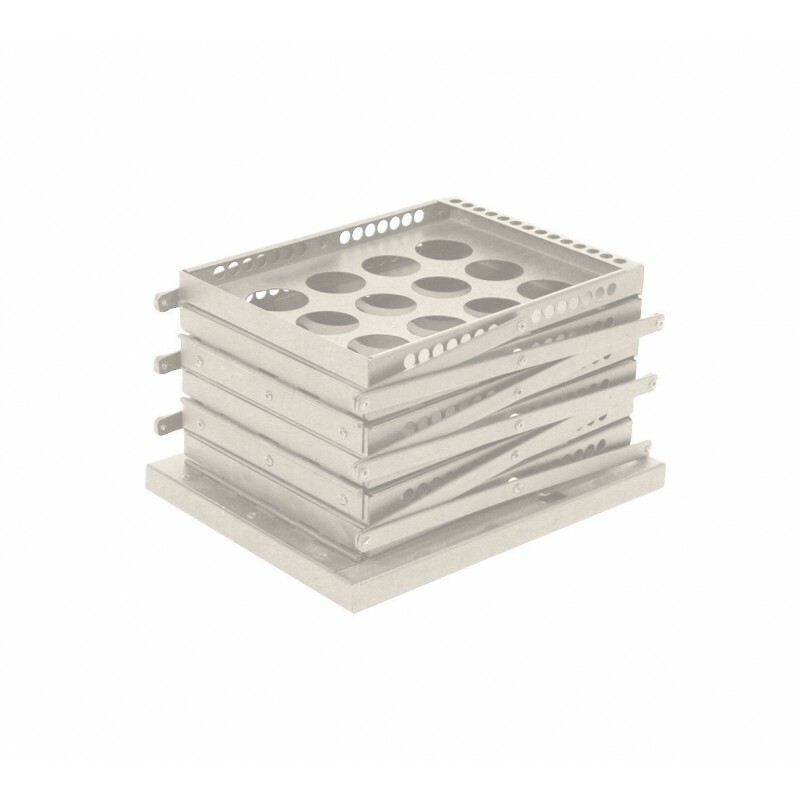 Great product dispatched quickly. Very happy! It has deep pockets which is an advantage but it gets a little bit harder to get the last few out. very happy, super-efficient delivery. Would definitely recommend to others and order again. Ordered 2 literature stands for the office from Discount Displays. They were not only the cheapest available online but were delivered the next day in pristine condition. I'll definitely be coming back to DD in the future.